Written on 20 October 2012 . When designed with the end-user in mind, indoor playgrounds can be a great value-add activity that will drive a strong return on your investment. Children love to climb and slide and offering a diverse, well design indoor play structure like this one provided by SoftPlay will have your end-users coming back for more. 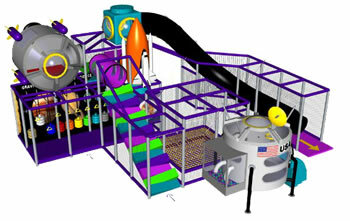 Pricing is a unique process with regards to soft contained indoor playgrounds. The first thing you need to know is that 90% of the design work playground equipment manufacturers do for fun centers and children’s entertainment centers are custom designs. There is no charge (or should NOT be a charge for this process) as each design should be different from the next.... your business goals differ from say McDonalds and the Jumpy Jimmy place down the road - so too should your playground design. Companies that claim they will provide you with a “free” design are using marketing bla bla to get your business. No two business plans look alike—nor should they. While many small businesses launch without a plan in sight, if you are bent on seeking funding, whether from a bank, angel or venture capitalist, you’ll need a business plan. This task can be agonizing to some entrepreneurs—who fancy discussions about the big picture—and liberating for others—who spend too many wakeful nights counting sheep. To grow and survive, strategic thinking is essential. In just 60-seconds, we’ll show you how to plan for your business’s future without over planning yourself out of existence. The demand for indoor play centers, whether in the form of full Family Entertainment Centers, or specialized Childrens Entertainment or Edu-tainment Centers continues to rise. With a tense global situation, and growing parental need to provide children with safe, quality play time and experiences, the interest in Indoor Playgrounds and indoor play-centers continues to expand. However, in many cases as much as we love soft indoor playgrounds - it can be an operators challenge to ensure a solid return on that activity investment.